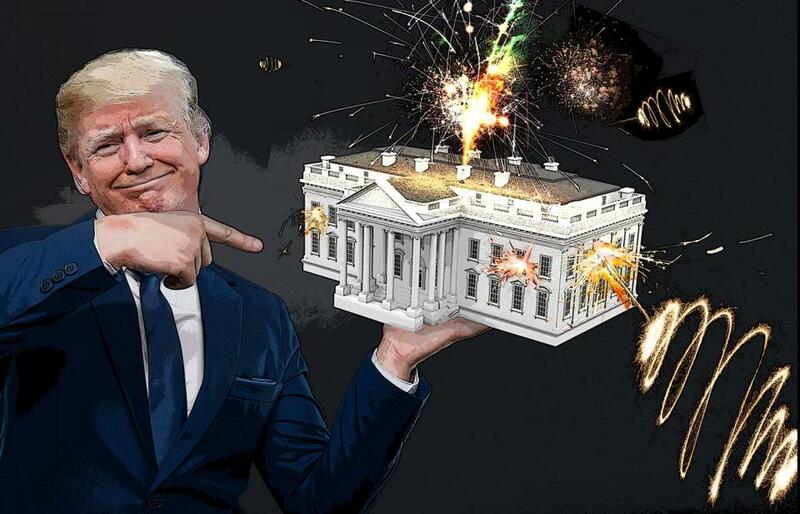 Have we finally reached peak Trump? That sounds less like a question and more like a plea for mercy in light of Bob Woodward’s damning new 448-page chronicle of a White House in crisis. Woodward quotes Trump’s lawyers desperately trying to save the president from testifying before special counsel Robert Mueller, lest he end up in “an orange jumpsuit” for being “a [expletive] liar.” Top officials toil in soul-destroying jobs they hate to save the nation from disaster by sabotaging Trump’s orders to assassinate foreign leaders and cancel trade deals and security pacts. “Fear: Trump in the White House,” based on hundreds of hours of taped interviews, is different in one respect from Woodward’s previous deep dives on eight other presidencies. Those exposed jaw-dropping machinations we never imagined, happening behind closed doors. This one confirms jaw-dropping machinations we have seen and heard in public for 20 months: Trump’s paranoid raves against perceived enemies, abusive rants against staff, and obdurate failure to grasp the basics of law, trade, and national security. Trump issued 10 tweets in 15 hours slamming Woodward’s book, including denials from Kelly and Mattis. But Woodward’s account is harder to dismiss than others because of the author’s sterling reputation as a reliable journalist-narrator. Trump has praised Woodward’s reporting at least four times on Twitter before. Back in 2013, Trump sneered that “Only the Obama WH [White House] can get away with attacking Bob Woodward.” It’s worth listening to an 11-minute call by Trump to Woodward a month ago in which Trump praised the author as “always . . . fair” and complained that aides didn’t tell him of Woodward’s requests for an interview, before admitting that Senator Lindsey Graham had mentioned it. Republican Ari Fleischer and Democrat Paul Begala — former aides to Presidents George W. Bush and Bill Clinton — tweeted Wednesday that while they may not have liked Woodward’s accounts of their presidents, they were true. 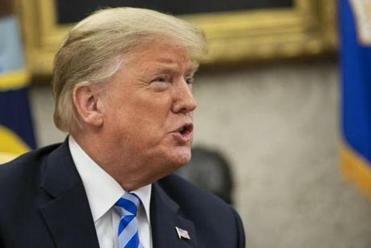 President Trump also suggested that excerpts from the explosive book were timed to interfere with confirmation hearings for Supreme Court nominee Brett Kavanaugh. It’s not lost on anyone that the Pulitzer Prize-winner’s expose of Watergate ultimately brought down Richard Nixon, once Republicans led by Senator Barry Goldwater of Arizona abandoned the president. So it’s not surprising aides who may suspect Trump’s ship will eventually hit an iceberg (or the Mueller probe) and sink with few lifeboats would portray themselves as long-suffering, patriotic double-agents who stay in jobs out of a sense of duty to avert daily national disasters. If even half of the stories describing Trump as unfit for office are true, it’s the nonfiction horror story of the year. An even scarier scenario is that all the stories are true. This hoopla coincides with some of the worst polls for Republicans ahead of the November midterms. New ABC News/Washington Post and IDB/TIPP polls put Trump’s approval at just 36 percent. There are signs of rising anti-Trump voter enthusiasm too, including primary upsets by Democrats from the party’s progressive wing. Ayanna Pressley on Tuesday unseated a longtime incumbent in a primary for Tip O’Neill’s and John F. Kennedy’s old seat, meaning she’ll be Massachusetts’ first black woman in Congress. The president, who swept the South in 2016, denied Tuesday that he mocked his attorney general, Jeff Sessions, as a “mentally retarded . . . dumb Southerner.” Trump, who frequently pillories Sessions publicly for recusing himself from the Russia probe, had attacked him again Monday for charging two Republicans facing reelection who were the first to endorse Trump. “Two easy wins now in doubt . . . Good job, Jeff.” Trump tweeted sarcastically of indictments for insider trading and campaign finance violations. On Tuesday, Trump suggested that protesting should be illegal. Trump’s banana republic misunderstanding of the law — that it’s a partisan vehicle for punishing enemies (“Lock her up!”), defending corrupt allies, and silencing dissent — shocked even lawmakers in his own party, some of whom went on the record saying he was acting like a dictator. So what are they going to do about it? If the last year and a half are any guide, Republicans in Congress grouse about Trump’s undemocratic behavior, but they’ll vote with him and behave as if they can’t stop him unless voters send another message. Where’s today’s Goldwater delivering the message of mutiny? Indira Lakshmanan’s column appears regularly in the Globe. She is the executive editor at the Pulitzer Center on Crisis Reporting.